Members of this Japanese family were warriors or warlords during the Kamakura Shogunate and rose to the rank of shikken (hereditary regents) from 1203 until 1333. They traced their descent from Taira Sadamori, with the founder of the family, Tokiie, taking the surname Hojo while he was living in Hojo, in Izu Province (modern-day Shizuoka prefecture). As the Hojo are therefore descended from the Taira, it makes them distantly related to the Japanese imperial family. However, with their base in the province of Izu, in the east, they were far from the center of power in Kyoto. Hojo Tokiie had a son Tokikata, and Tokikata’s son, Tokimasa, helped the Minamoto family after they were defeated in 1160. The head of the clan, Minamoto Yoshitomo, was executed, but his three sons were spared. Two were sent as monks to monasteries, while the eldest, Yoritomo, was exiled to Izu where he was looked after by the Hojo. The boy was only 13 years old at the time. In 1180 Yoritomo married Tokimasa’s daughter Hojo Masako, tying the two families together. As a result when the Gempei War broke out in 1180, Tokimasa supported his son-in-law in what became a rebellion against the rule by Taira Kiyomori, in spite of a distant familial connection with the Taira. At the end of the Gempei War in 1185, Yoritomo was clearly worried about his own safety and decided not to go to Kyoto straight away. Instead he sent Tokimasa to Kyoto with the intention of capturing Minamoto Yoshitsune, brother and rival of Yoritomo. However he managed to persuade the court to allow Yoritomo to be given the power to appoint military governors. This and various other moves allowed Yoritomo to establish the Kamakura Shogunate, which was officially formed in 1192. When Yoritomo died in 1199, Tokimasa and his daughter Masako conspired against the next shogun, Minatomo Yoriie. Yoriie despised the Hojo family, who he felt were too powerful. Yoshiie’s first move was against Kajiwara Kagetoki, governor of Sagami, who was executed in 1200. Although most scholars believe that Yoshiie was behind the death, Tokimasa benefited by being able to seize the territory of Sagami. Tokimasa then decided to move first and forced the new shogun to give him (Tokimasa) the office of regent in 1203. His plan was to form an alliance with Minamoto Sanetomo, who would become shogun when Yoshiie died, and divide the country between Yoshiie’s son and Sanetomo. A plan was drawn up by the shogun to assassinate Tokimasa, but the shikken acted first. He had Yoshiie’s son, Ichiman (who was also Tokimasa’s grandson), and then went to Kamakura, where Yoshiie, gravely ill and in bed, abdicated and was then murdered in the following year. This left Minamoto Sanetomo as the new shogun. Tokimasa embarked on another conspiracy at the urging of his second wife, Maki Kata, who wanted to get rid of Sanetomo and replace him with her son-in-law Hiraga Tomomasa. This time Masako and her brother Hojo Yoshitoki decided this was one step too far and eased Tokimasa from office with Yoshitoki taking on the office of shikken in 1205. Tokimasa retired to a Buddhist monastery in Kamakura and died 10 years later, aged 78. Yoshitoki (1163–1224) had fought alongside his father in the Gempei War and in various political machinations until 1205 when he and his older sister managed to oust their father. After several years of consolidating his power base, Yoshitoki decided to attack the Wada family in 1213, becoming head of the Board of Retainers, a position that had previously been held by Wada Yoshimori. Masako and Yoshitoki then decided to seize power, their position made easier by the assassination of Minamoto Sanetomo, the shogun, in 1219. In the Jokyu disturbance of 1221 the retired emperor Go-Toba tried to overthrow the Kamakura Shogunate and the Hojo family, who at that stage were in real control, but failed, leaving most believing that the real power in the land now rested not with the emperors but with the shogun and the shikken. Yoshitoki quickly extended the power of the shogun over the entire country. In 1224 Yoshitoki died suddenly of an illness, aged 61. Yoshitoki’s his first child, Hojo Yasutoki, succeeded him as shikken. His sister Masako died in 1225 aged 69. 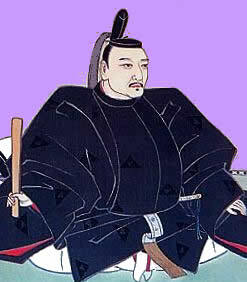 Hojo Yasutoki (1183–1242), the third shikken, immediately set out to strengthen the political position of the Hojo clan. In 1218 he had become chief of the samurai dokoro (military office) and three years later led the shogun’s forces against the imperial palace in Kyoto. Remaining in Kyoto, he oversaw the capital until the death of his father, when he took over the running of the regency. He appointed his uncle Hojo Tokifusa as the first rensho (cosigner) and in 1226 established the Hyojoshu (Council of State). In 1232 he promulgated the Goseibai Shikimoku, which codified the shogunate for the first time, ensuring that the system of shogun would not be challenged until the Meiji Restoration in 1868. When he died in 1242, his son Tokiuji had predeceased him, and his grandson Tsunetoki succeeded him. Tsunetoki (1224–46) was the fourth shikken but died after four years in office, to be replaced by his younger brother Tokiyori (1227–63), who became the fifth shikken. As soon as Tokiyori came to power he was faced with a coup planned by a former shogun, Kujo Yoritsine, and a relative, Nagoe Mitsutoki. Tokiyori was married to a daughter of the commander, Adachi Kagemori, and he sent his grandfather against his opponents, who were defeated at the Battle of Hochi. His uncle, Hojo Shigetoki, was then recalled from Kyoto and appointed rensho. In 1252 Tokiyori had sufficient power to depose the shogun and replace him with Prince Munetaka. Tokiyori wanted administrative reforms and in 1249 established the Hikitsuke, which served as a high court for the country. However three years later he stopped official discussions in the council of the shogunate and instead held meetings at his house. In 1256 he decided to step down as shikken and become a monk. It is said that in the years before his death in 1263, he traveled around Japan in disguise to see for himself the actual conditions of the people in the countryside. The next shikken, Nagatoki (1230–64), was a cousin, being the grandson of Yoshitoki, the second shikken. He was regent until his death in 1264 and was replaced by his uncle Masamura (1205–73), who was the seventh shikken from 1264 until his resignation on April 12, 1268. He was succeeded by Tokimune (1251–84), the eldest son of Tokiyori. He had been rensho before becoming shikken in 1268. His term as regent was extremely difficult as Japan was faced with the constant threat of a Mongol invasion. Kubilai Khan had sent an embassy in 1268, but the Japanese treated his men with some disdain. Preparations were made for the invasion of Japan and Tokimune had to strengthen defenses around the southwestern coast of Japan, repairing forts and building new ones. In November 1274 the Mongols attacked Japan with 30,000 soldiers in 800 ships. The initial Japanese response was weak and they were surprised by the Mongol and Korean methods of fighting. The Mongols took over several Japanese islands on their way to Kyushu. Some of the samurai facing the Mongols advanced forward, and the Mongols, who charged as a large mass, overwhelmed them. Those who survived sent frantic messages to Kyoto that a mighty invasion force was on its way. By the time the Mongols reached Kyushu, the locals had prepared defenses and the invaders were short of supplies. Their fleet, in Hakata harbor, was vulnerable, so to prevent a night attack, the Mongols pulled out their fleet. A typhoon smashed the Mongol fleet, destroying many ships. The Mongols left on land were quickly surrounded and cut to pieces by the Japanese. The Mongol fleet limped back to Korea having lost 13,000 men, and Tokimune received much credit from the Japanese people for having saved the country from its first attempted invasion. Tokimune, worried about another attack, quickly built a long stone defensive wall along Hakata Bay. In 1581 the Mongols attacked again, this time with 200,000 men and more than 4,000 ships. The southern fleet, from southern China, left a month earlier than the northern (or eastern) fleet, which sailed from Korea. This time the Japanese were waiting for them. Once again weather intervened and the invaders again lost a large part of their fleet in a storm. It was said that nearly two-thirds of the attackers were killed. The Hojo government faced a new problem of rewarding the samurai who had fought the Mongols, and also building shrines to pay tribute to the supernatural forces that had defeated the invaders. Although best remembered for his role in preventing two invasions, Tokimune was also involved in the building of the Engakuji temple in Kamakura in 1282. Tokimune died in 1284 and was succeeded by his son Sadatoki (1271–1311). Tokimune was the last strong shikken and after his death the Hojo clan was on the decline. Sadatoki was only 14 when he became shikken and was placed under the guardianship of Taira Yoritsuna. At this point the Adachi family decided to challenge the Hojos, but some scholars suspect that the plot might have been concocted by Taira Yoritsuna to get rid of Adachi Yasumori (who was Sadatoki’s grandfather-in-law), who had become a serious rival. In 1285 an attack on the Adachi family, known as the Shimotsuki Incident, resulted in the death of some 500 members of the family and its retainers. Eight years later, men loyal to Sadatoki killed Taira Yoritsuna and some 90 of his followers in what became known as the Heizen Gate Incident. In 1301 Sadatoki handed power over to his first cousin Morotaki (1275–1311), who became the 10th shikken from 1301 until his death in 1311. For many years, Sadatoki continued to run the country until his own death at Engakuji. The 11th shikken was Munenobu (1259–1312), a distant cousin, who was only shikken for less than two years. Another distant cousin, Hirotaki (1279–1315), succeeded him as shikken for three years. Then another cousin, Mototaki (d. 1333), became shikken for two more years. Sadatoki’s son Takatoki (1303–33) then became shikken from 1316 until 1326. He was the last effective shikken, dominating the shogunate even after he retired, and was succeeded by a distant cousin, Sadaaki (1278–1333), who became the 15th shikken in 1326. The 16th, and last shikken, was Moritoki (d. 1333), who a great-grandson of Nagatoki, the sixth shikken, r. 1326–33. In 1333 the two lead army commanders, Ashikaga Takauji and Nitta Yoshisada, turned against the Hojo family and supported Emperor Go-Daigo and the imperial restoration movement, which became known as the Kemmu Restoration. 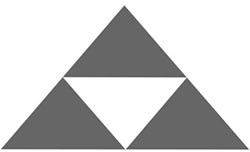 Faced with inevitable defeat, the, 14th, 15th and 16th shikken all committed suicide, in addition to many relatives.